India A 7-214 (Yuvraj Singh 52, Unmukt Chand 47, Kedar Jadhav 42, Andre Russell 4-45) beat West Indies A 121 (Andre Fletcher 32, Devon Thomas 21, Rahul Sharma 5-23) by 93 runs. 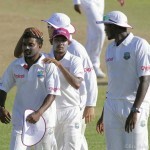 The Blue Shirts A amassed 214 for the loss of seven wickets in the allocated 20 overs and the Windies A were bowled out for mere 121 runs with 22 balls to spare. The only unofficial Twenty20 was played on Saturday, September 21, 2013, at M Chinnaswamy Stadium, Bangalore. Earlier, Yuvraj Singh, the skipper of India A, won the toss and opted to bat first on a nice looking strip. Robin Uthappa along with Unmukt Chand took off in an attacking mode by smashing 52 runs in just four overs with the assistance of 4 lofty sixes and 3 fours. Chand was dropped at 22 in the next one and he responded by hitting 2 fours in the 6th over whereas Uthappa became the first victim at 74 after 6.4 overs for 35 off 21 balls with 3 big sixes and 1 fours. Unmukt Chand followed him 20 runs later for 47 from 29 with 2 sixes and 4 fours and the third wicket fell at 109 in 11.5 overs. Yuvraj Singh and Kedar Jadhav took charge and dispatched 7 fours altogether until the end of the 15th over. The first hit two back to back sixes in the 16th one and Jadhav repeated the same result in the next over. Yuvraj Singh thrashed his 14th Twenty20 fifty with 1 six and 1 four as Jadhav was caught by Nkrumah Bonner off Andre Russell for 42 from just 21 deliveries with 2 high sixes and 4 fours. The fourth wicket fell at 189 in 18.2 overs and Yuvraj Singh went back to the dressing room on the very next ball for 52 off 35 comprising 3 grand sixes and 4 fours. Sumit Narwal remained unbeaten for 18 as India A powered 214 with three wickets still available after 20 overs. 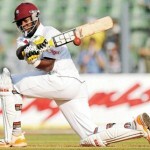 Andre Russell was the highest wicket taker with four, Ashley Nurse held two whereas Veerasammy Permaul got one wicket. Andre Fletcher opened the innings along with his captain, Kieran Powell, for the visitors and they scored 19 runs in the first over with 1 six and 2 fours. Powell was gone in the next over for 8 and was replaced by Nkrumah Bonner who punished Vinay Kumar for 16 runs in the 4th over with 2 consecutive sixes and 1 four. The latter was caught by Chand off Jaydev Unadkat for 18 and the incoming batsman Kirk Edwards was unable to open his account. The home bowlers penetrated through the middle order batting of the Caribbeans A and Fletcher was the fifth batsman to be dismissed at his personal feat of 32 off 22 with 1 six and 2 fours. The sixth wicket went down at 80 in 8.6 overs when Devon Thomas and Ashley Nurse tried to defend the lethal bowling of the rival team. They were unable to taste any boundary in the next three overs and crept to 115 as Nurse was caught by Uthappa off Rahul Sharma for 16. 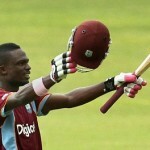 Thomas scored 21 and the entire innings of Windies A team was folded back for 121 in 16.2 overs. Rahul Sharma was the star performer with five wickets, Vinay Kumar and Yuvraj Singh sahred two each whereas Jaydev Unadkat chipped in with one wicket. India A grabbed the only unofficial Twenty20 encounter against West Indies A by a vast margin of 93 runs.